'in terms of enjoyment of language, comprehension and acquisition of colloquial terms, this resource 'Understanding Everyday Australian' is a winner with thanks to Susan Boyer'. December 2012. 'I have used Susan's material for years - there is so little beginner ESL material in Australia that is suitable for adults, so I really appreciate it. It is a great help to have the audio files now so accessible. Cheers', A A.
Email: Sept. 2015. A A is referring to the English Language Skills Level 1 Student Workbook, audio and Teacher's Book. 'Dear Susan, Your resources have made all the difference to my latest ESL client, who has an excellent grasp of the English language, but next to no Australian. She specifically asked me to teach her Australian English, and I found your books. Without these excellent activities, I would really have been grappling to find worthwhile activities. I now look forward to finding our more about what you have published. Thank you so much'. Email: From: E T, September 2015. 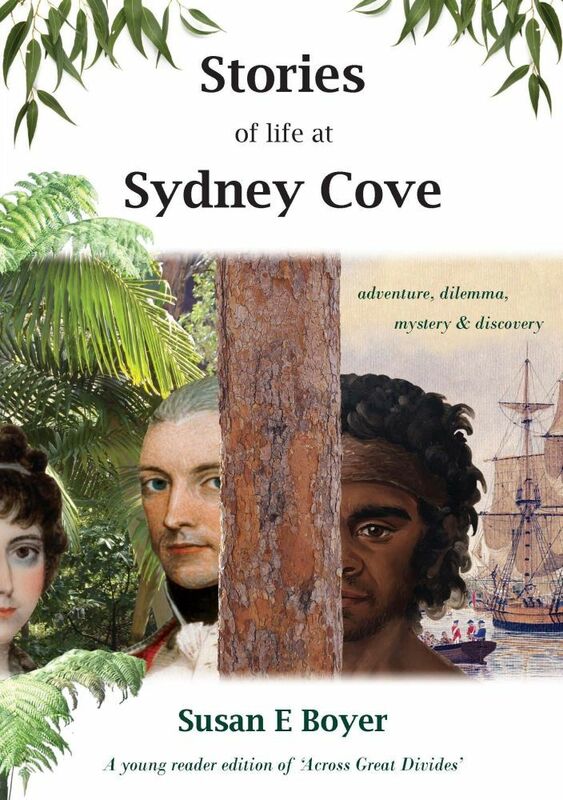 "I think your latest book "People in Australia's Past" is absolutely fantastic. I am using it four or five times a week." Hello Sue, you don't know me but I have been using your materials for a couple of years now. I just wanted to give you some positive feedback on them. I particularly use the English language Skills level 1 and workbook (with Burmese refugees and a smattering of Chinese mainly. It has provided great input for class and we have had a good year. I wish you had a slightly higher level one! 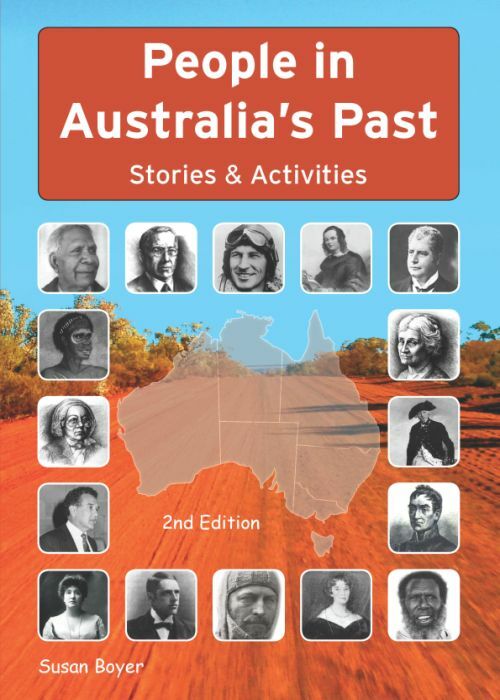 I have also used the People in Australia's Past this year, with a CSWE 2 class - and it has fitted in with our work very well.I generally do it as a split listening task or other interactive segment. I also used it with individual students as a homework task and talking point. I also use your Understanding Everyday Australian books and cd's with certain students. Many thanks for producing good relevant materials! I just noticed how much I have used them this year as I am thinking about planning for next year. Regards, Email: From: H M, November 2011. I have discovered your English Language Skills and Word Building Activities. In addition I now use your Understanding English Pronunciation with an Indian student. Your books and CDs are clear, practical and relevant to the needs of my beginners. Far more than any other Australian or English text books I own or have borrowed from the library. I will be investing in more of you books as the need arises and will recommend them to all concerned. Your website and the samples to download are most helpful. Email: From: N S, April, 2010. "The English Language Self-Access Centre (ELSAC) provides supported independent English language development to enrolled students and staff at (a New Zealand University.)" "The centre opened in 2001 and over the ensuing years its users have benefitted greatly from several of your language learning materials we have purchased and hold in our library." Email : From: P H, August 2010. Many thanks for forwarding the two copies of English Language Skills Level 1 Student Book which arrived today! As mentioned on the phone, our students really appreciate this excellent resource. Email from FB, October 2011.
Review of 'Understanding Everyday Australian'. This review of 'Understanding Everyday Australian' focuses on our book 2 of the series..
Sandie, a language and literacy teacher is on the VALBEC committee and is the ESL coordinator at Pines Learning, Victoria.. The review appeared in the 2012 vol:35 # 3 of 'fine print' the journal for VALBEC, Victorian Adult Literacy and Basic Education Council Inc.
Having taught adult language and literacy for a number of years, I an constantly on the lookout for Australian texts that are relevant, interesting and authentic. My present students are very enthusiastic about learning colloquial language, yet they are often frustrated that despite a high level of language acquisition, they remain confounded by idiomatic language. I tend to rely on my own texts and newspaper articles, so it was with much relief and excitement that I first discovered 'Understanding Everyday Australian' by Susan Boyer. Althought twelve years old now, this book still contains relevant topics and examples of commonly used colloquial and idimatic language. It is a book I have enjoyed using with more than one class and all have found it useful, easy to use, relevant, interesting - and most of all fun. The chapter 'Asking for Directions', (UEA Book 2) is especially good. Giving instructions and using imperatives is often a tricky issue for ESL learners, and native speakers alike. This is the first book I have found to rackle useful road and driving language, such as 'bumper-to-bumper', 'dogleg', 'prang' (lengthy discussion ensued with this word and it's synonyms), 'u-y', 'bottleneck' and the ubiquitous 'up-the-creek'. Students love the authentic (though I stressed it was exaggerated for effect) dialogue. They could sense the humour, also a tricky learning point for ESL learners, and enjoyed listening and role-playing. When combined with a street directory copy of the local neighbourhood, they were able to test their new-found vocabulary giving instructions to a partner on how to get from school to home. We did not test if this was entirely successful communication but in terms of enjoyment of language, comprehension and acquisition of colloquil terms, this resource, with thanks to Susan Boyer, is a winner. Review by Sandie Forbes.